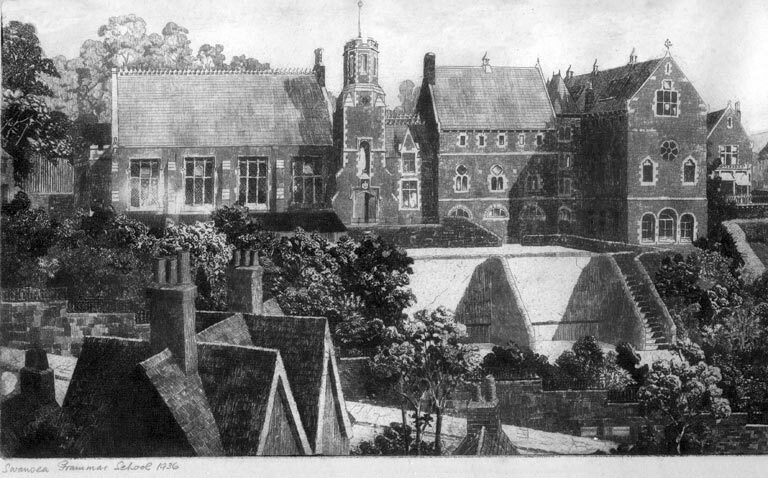 The Swansea Grammar School was founded in September 1682 by Hugh Gore D.D., Bishop of Waterford and Lismore. Born at Maiden Newton, Dorset, in 1613 Hugh Gore received his early education at Lismore and at the age of fifteen entered Trinity College, Oxford, where he remained for only a few terms. He then went to Trinity College, Dublin, where he graduated as Bachelor of Arts and later received the degree of Doctor of Divinity. 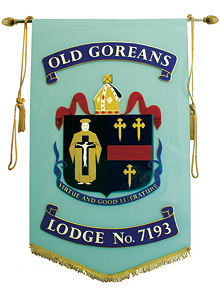 After ordination Hugh Gore became Rector of Oxwich, Gower, a preferment in the gift of the Mansel family of Penrice. The “rude vigour” of the puritans of Gower during the commonwealth forced him to leave Oxwich to reside in Swansea where it is believed he worked as a tutor. On the restoration of the monarchy he returned to Ireland and was installed as Chancellor of Cashel in 1661. Two years later he was made Dean of Lismore, and in March 1666 was consecrated Bishop of the united sees of Waterford and Lismore. After surviving a cruel attack by ruffians he returned to Swansea and died at his home in High Street at the age of 78. He was buried in St. Mary’s Church on 27th March 1691. 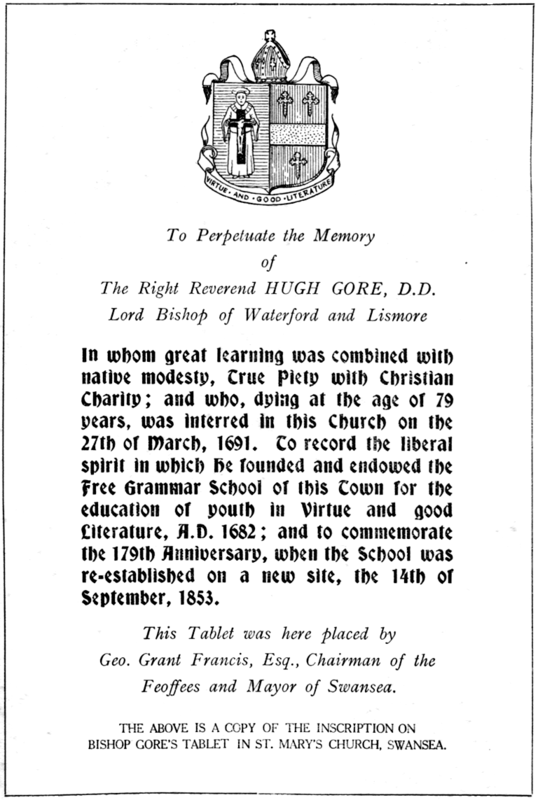 Bishop Gore was assisted in the foundation of the school by his friend and patron Bussy Mansel. 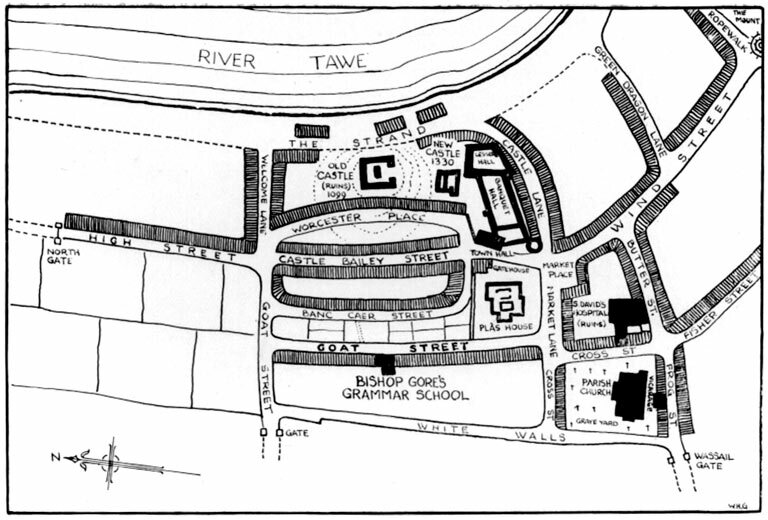 Gore endowed the foundation with an estate of 640 acres of farmland in the Ogmore valley near Bridgend, and Mansel provided the site in Goat Street, Swansea, on which the schoolroom and master’s house were erected. Little is known of the life of the school during its first century or so, but we may conclude that it was small, the twenty foundation scholars being joined by day boys from the town, and pupils from West Wales and the border counties who boarded with the master. Under the terms of the foundation the headmaster was to be appointed by Bussy Mansel or his heirs, but when the Rev. Evan Griffiths, headmaster since 1820, died in 1842, there was no known heir of Mansel. The estate went into chancery and the school closed. Soon after its closure George Grant Francis drew the town council’s attention to its rights with regard to the school and due to his untiring efforts over a period of eight years the Chancery Court agreed to its revival under a new scheme. The school reopened in a house at Mount Pleasant in April 1851 under the headmastership of Dr. Thomas Noon. The original buildings in Goat Street were now in poor repair and a new site near Bellevue House, Mount Pleasant, was obtained for the erection of new buildings. The foundation stone was laid in April 1852 and on Founder’s Day, 14th September 1853, the schoolroom and tower were opened by Grant Francis assisted by the Bishop of St. David’s and by the Mayor and Corporation of Swansea. The Rev. Charles Heartley was appointed headmaster in 1862 and remained for fifteen years before retiring to a living in Cambridgeshire. The school flourished under this capable and enthusiastic educator. The academic, cultural and sporting life of the school took on a new vigour. Heartley helped raise money to extend the buildings and even invested one thousand poinds of his own money in improvements. A covered playground was converted to a chapel and dedicated to St. John. Dr. Churchill Sibley was appointed organist and full cathedral-style choral services were held. In 1877 there were 73 boys at the school of whom only five were boarders though there was accommodation for 36. Heartley was succeeded by the Rev. John Young, formerly headmaster of Kirkham Grammar School. Although properly called the Swansea Grammar School, this master usually referred to it as “Bishop Gore School”, a title that was to be adopted in 1952. The school continued to flourish under Young and by 1890 there were 130 pupils. The Welsh Intermediate Education Act was passed in 1889 and on 1st January, 1895, the school and all its property and endowments passed to the new governing body which consisted of members of the town council. Dr. George Turpin was appointed headmaster soon after and combined his duties with those of principal of the Technical College. John Trevor Owen M.A. took over in 1901 when there were 150 pupils on the register. By the time of his retirement twenty eight years later the number had risen to nearly 500 and the inadequate accommodation extended by erecting temporary buildings in the ground. John Grey Morgans was headmaster when in 1938 a start was made on new buildings in parkland at Sketty on the West of the town. The contract was suspended in 1940 due to the war and not restarted until 1947. Meanwhile during the “three nights blitz” of February 1941 the old school was badly damaged. The hall (the schoolroom of 1853) was totally destroyed, the beautiful windows bearing the arms of the feofees (governors) were lost and only the memorial to old boys who fell in the Great War survived. Some classes were moved across the road to the Cambrian Institute for the Deaf until the new buildings at Sketty were occupied by 700 pupils in September 1952. These buildings, hailed as a triumph of skill and vision, were the last word in school design. As well as the usual teaching rooms and laboratories there were two gymnasia, a swimming pool, a lecture hall for 200 and the great hall for assembly and dramatic performances which will hold a thousand people. Dr. Ellis Lloyd, who was appointed in 1949, supervised the move to the new site where the tradition of scholarship and sport was carried on uder the name of “The Bishop Gore Grammar School”. At the time of Dr. Lloyd’s death in 1964 there were over 900 pupils. An old boy, Leslie Evans M.A., became headmaster in 1966 and in 1970, with the reorganisation of secondary education in the city, the school became a senior comprehensive for boys. Two years later in September 1972, on amalgamation with Glanmor the former girls’ grammar school, it became co-educational. The buildings were greatly extended with 1800 pupils. Under consecutive reorganisations, the control of the school passed from the Swansea Education Authority to West Glamorgan County Council and then back to the City and County of Swansea. The school continued to flourish under the headship of Charles Suff (1982/1993) and today still continues to serve the community under Mr Ryan Davies, upholding the traditions and scholarships that had existed for some three hundred and twenty years.